Hyrule Warriors Legends will be one of a few high profile 3DS releases in early 2016, with the 3DS port introducing some key new characters and content. 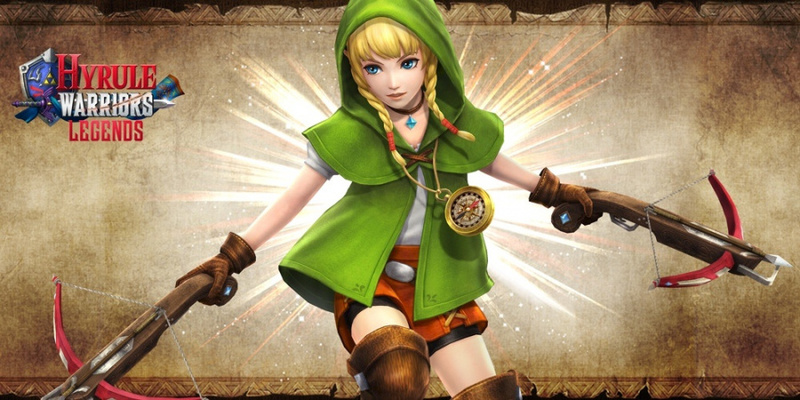 One of the most notable additions is Linkle, an all-new character that'll have her own story-segment in the game. The Japanese release is a couple of months ahead of the Western arrival, so Koei Tecmo has been ramping up its marketing with videos for the new characters; now Linkle has her showcase. We get a good look at her moveset and how she puts her dual-wielding crossbow technique to use; she certainly has some fun looking combos, and the development team has typically done a good job with a lot of the game's cast. Every time we see these showcase videos we can't help but want to see their Wii U equivalents in action; all new characters will be transferable to the original game. For now, though, we can see the portable version of Linkle in action below. I think it's fantastic that Legends has allowed the devs to add content like Linkle. Even though I don't care much for her at the moment, it's neat to see a concept become an actual character. The 3DS just doesn't do this game justice. "...all new characters will be transferable to the original game." What do you mean? Would that be the only way to get them? Or they'll be available as paid DLC too? @Rod64 At the moment I think you'll need the 3DS game BUT that could change with DLC options introduced. Koei Tecmo probably want more $$$ from sales of Legends first. Can't wait to play as her. I've been playing Hyrule Warriors a fair bit recently, working my way through the adventure mode maps. Linkle's move set looks fun, I like the character design and I was hoping she'd arrive ever since seeing her concept art. Now, if I could get some more characters, areas and music for the games... Groose? Nabooru? Telma? Ashei? Malon? ... Saria? Every time I hear more about Hyrule Warriors Legends, I'm glad I didn't go for the Wii U version. Some of my favourite characters seem to be exclusive to the 3DS version, so I'll just get the 3DS game. I wonder if there will be a Hyrule Warrior Legends New Nintendo 3DS bundle next year. If there is, then I know what I'll be getting next year once I end the second semester of my third year. @ThomasBW84 wow if they did that it be the biggest f**** you to the original supporters, if they wanted more money they shoulve added the pay wall on 3ds too. Wiiu guys already threw in enough money as it. "Oh 3ds income on the game is coming to its end.....we need more money.....hey....remember those wii guys....yeah...let's throw in the new character's there without the story and charge them more money!" Gimme dat plush Navi, Nintendo! There have been so many trailers for this game, maybe too many. I would like to see the new characters on Wii U for the next one. @Lady_rosalina You've never bought a "game of the year" edition of many game I presume? @mookysam I know what you mean. Those graphics are just, ugh. Linkelle is pretty awesome. I'm glad Koei Tecmo is allowed to go beyond the characters we already have. But who's bright idea was it to invade Hyrule with an army of Bokoblins? Those guys are getting slaughtered! Looking forward too playing her story and using her character on the Wii U version also Linkle for Smash i want that Amiibo lol. @mookysam Looks more like the devs. There are much better looking games on 3DS.